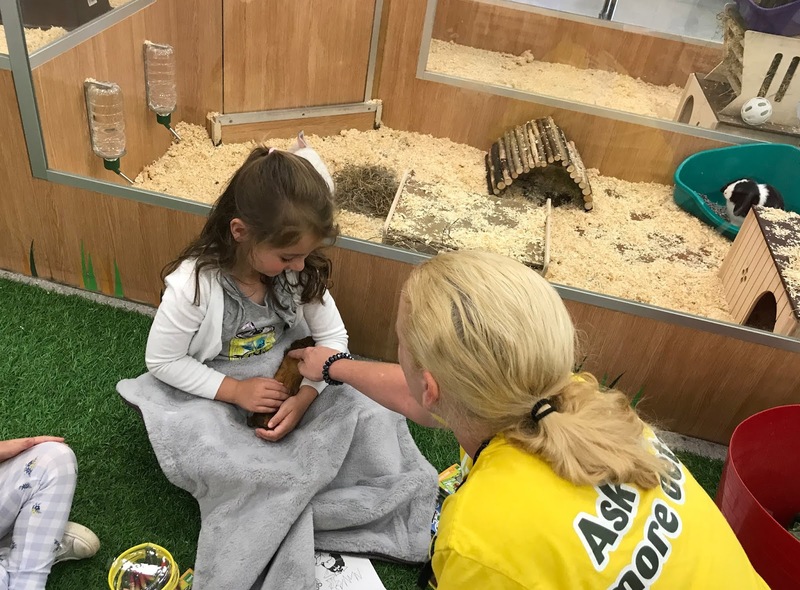 As mentioned the My Pet Pals Workshops are held in Pets at Home stores around the country, they are free to attend but you do need to pre-book online. They are hosted by the Pets at Home staff and they are a great way for children to learn about different pets and how to care for them. The staff member hosting the workshop was extremely friendly and you could tell she was knowledgeable about the animals and really cared about them, often telling the children about her own pets too. 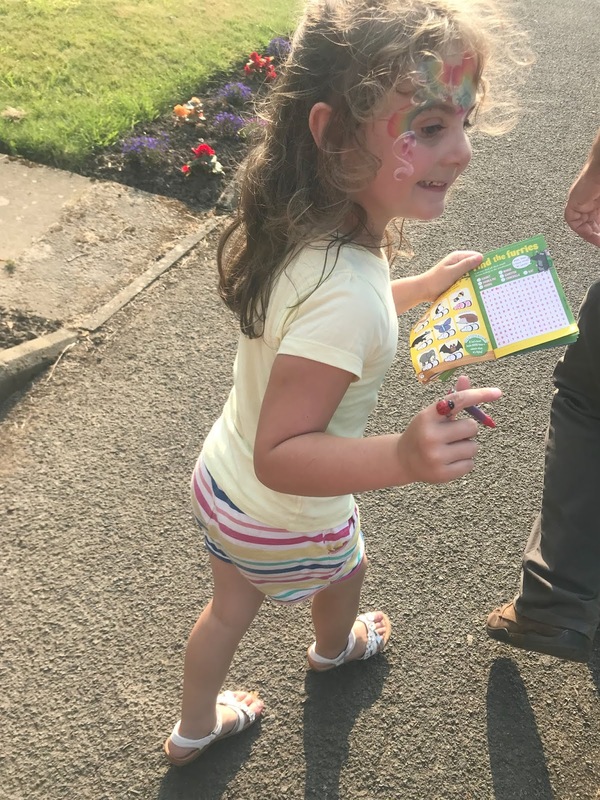 During the workshop, Sophia got to take part in some crafts, such as decorating rock creatures and colouring in some pictures before moving on to some animal care. She got to hold a guinea pig, rabbit and rat and then she got to feed them, which was a highlight for her. 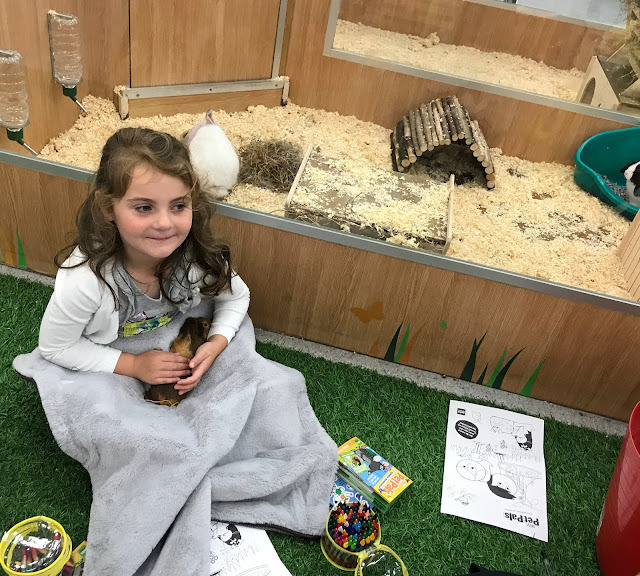 She learnt so much about the animals in the store and how to care for them and handle them correctly. She now wants a pet rat as she fell in love with Ant the white rat in store. Sophia enjoyed the workshop so much that I am tempted to re-book her on another workshop as she has not stopped talking about it. I highly recommend you book onto one if you have children who love animals. At the end of the session, Sophia was handed an activity booklet to complete during the summer holidays. 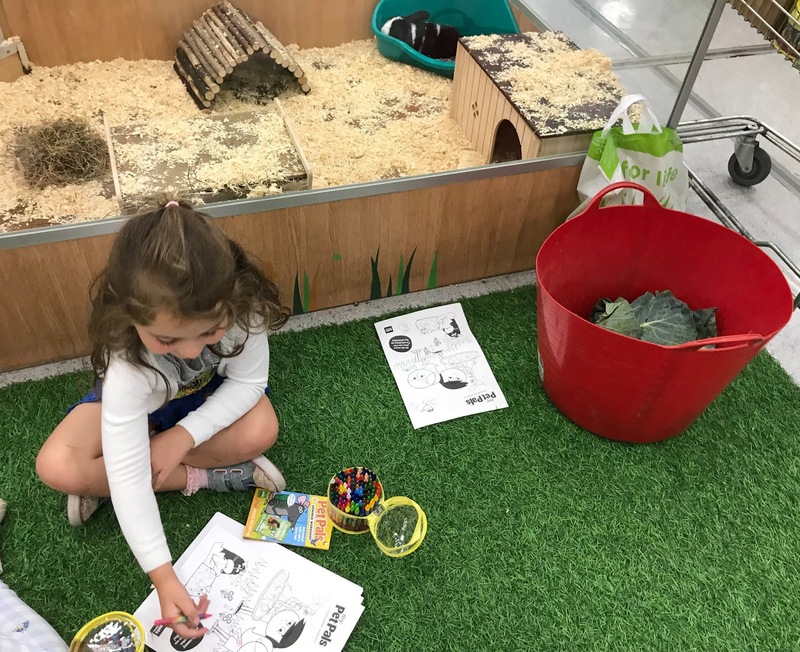 The booklet has lots of activities in and it also has the big summer challenge which is 10 fun activities to get children active and learn more about small furry animals. If you complete the challenges you could also win some prizes, such as National Trust memberships and My Pet Pals goodies. 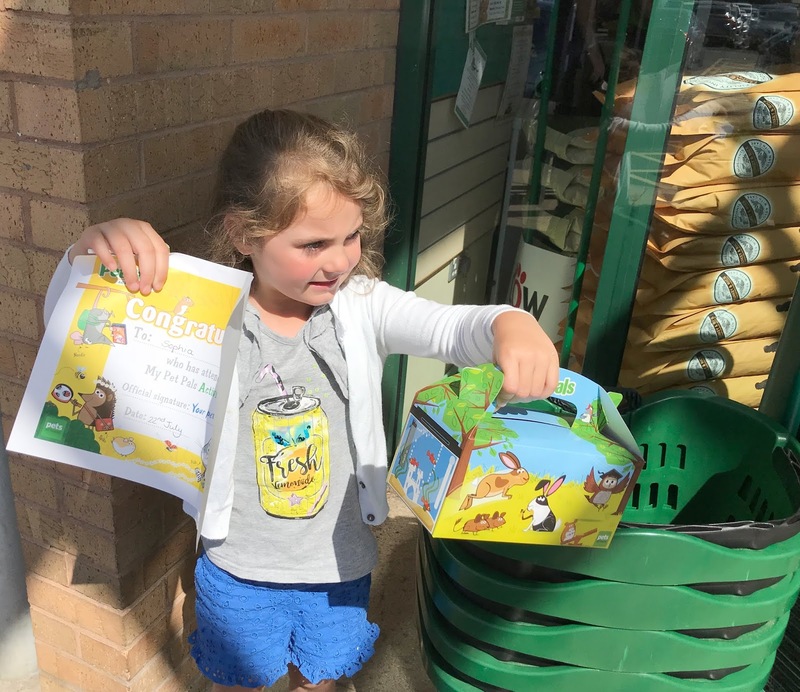 The booklet is a great way to keep children entertained throughout the summer and Sophia has enjoyed completing the challenges the past two weeks, every day she has been asking to complete another challenge from the booklet. We have worked our way through the challenges and you may have already seen us completing them if you follow us on social media, so here is how we got on. The first two challenges were to attend a My Pet Pals Workshop, which we did and we learned how to handle small furry animals, what food they like - the rabbits in the store didn't like carrots and preferred cabbage leaves and we also learned the best type of home for each pet. 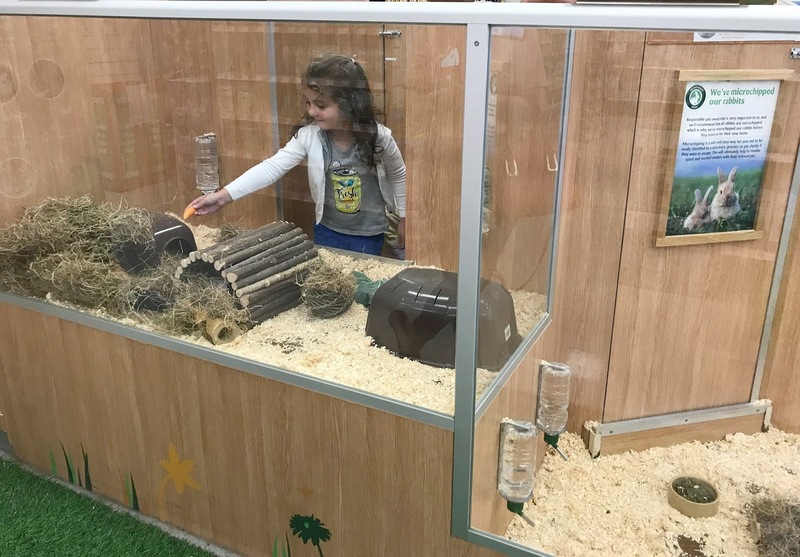 While in store we were encouraged to look for a hamster home and pick what we thought would be the perfect home for a small furry pet. This was one of the challenges in the workbook and Sophia soon spied a circus-themed cage complete with slides a big top style cosy home to sleep in. She then spent lots of time picking some cat toys out for our pet cat Marmalade too. Another one of the challenges we completed in store during the workshop was to make a pebble pal. Decorating large pebbles with paint, googly eyes and spots to create a bright and colourful pet ladybird. 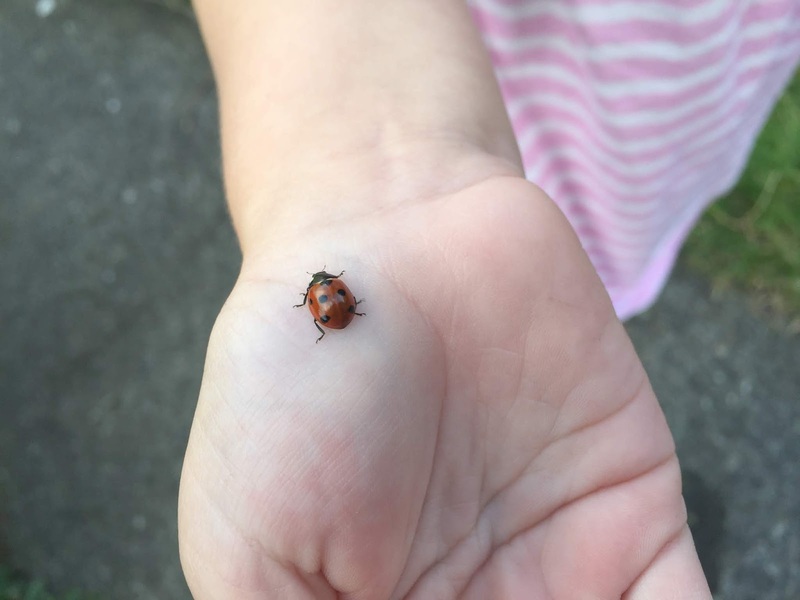 Whilst playing in the garden we found a ladybird and as soon as she seen it Sophia had to hold it, letting it crawl on her hand. She loves bugs and is always picking up little creatures in the garden and claiming them as her pets before setting them free in the flowers. We all went on a family nature walk, complete with butterfly facepaint and ladybird ring on the hunt for some strange noises we thought could be small creatures. We heard buzzing bees, fluttering butterflies, a crowing cockerel and some tweeting birds. You might have seen my children over on Instagram Stories the past few days pretending to be small animals, one was a bunny and the other a mouse. They also spent lots of time practising their bunny hops around the garden, which was a great way to keep them active. 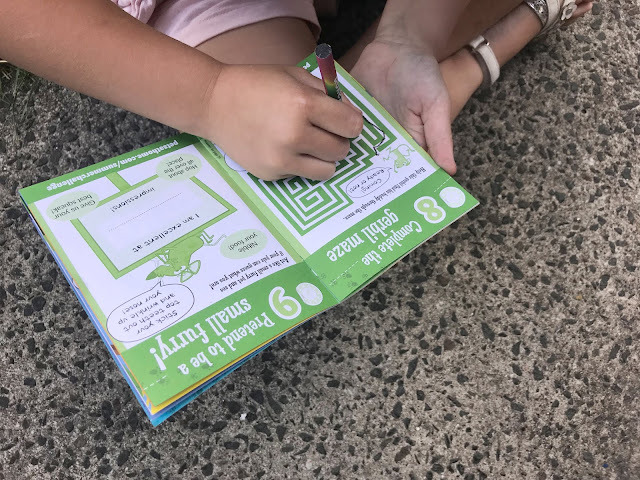 There is a gerbil maze in the booklet for children to complete, having never completed a one of these before I was amazed my daughter managed to complete it pretty quickly. It was a good way to keep her occupied for five minutes. We have birds nesting on the side of our house and in our garden so we always have birds about and the children are always feeding them seeds and nuts in bird feeders. We haven't actually been on a litter patrol as such yet but the children have helped tidy a few bits of litter that had been blown into our garden hedge. My 3-year-old son has a real fascination with putting things in the bin and recycling things so he was in his element tidying the garden up with us. Before taking part in this challenge I was not sure what to expect, I thought the My Pet Pals Workshop might have been a way to entertain my children during the holidays for an hour but they have learnt so much. They now know how to handle small animals and have a basic understanding of how to care for them from attending the workshop. I also realised that a small pet like a pair of guinea pigs or a hamster would be great for the children as my little girl adores animals so much, I just need to try and convince her dad its a good idea! 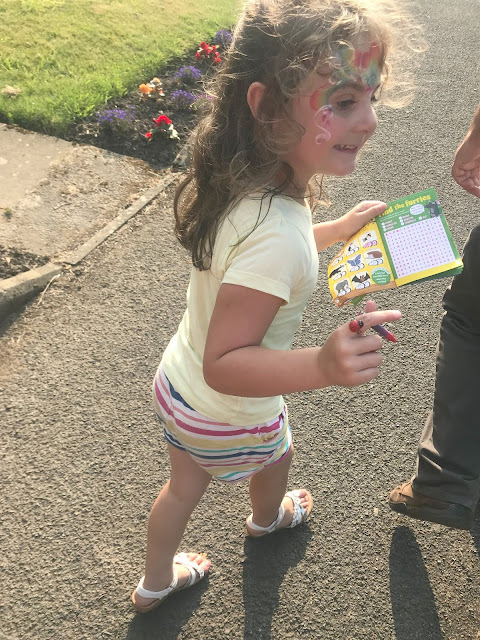 The challenges in the workbook were really easy to complete and my children really enjoyed taking part in them, their favourite was definitely the nature walk as they really enjoyed this and it is not something I would normally do with them. I think the challenges in the booklet have helped them learn more about looking after pets and nature and that can only be a good thing. I really do recommend the My Pet Pals Workshops at Pets at Home and I am sure if you book onto a workshop your child will enjoy it as much as mine did. Information about the My Pet Pals Summer Challenge can be found at www.petsathome.com/summerchallenge and you can also follow others taking part in the challenge by visiting Pets at Home on social media, Twitter @PetsatHome and Instagram @PetsatHomeUK and follow the hashtag #MyPetPals. Have you taken part in a My Pet Pals Workshop yet? If so I would love to know what you thought in the comments below. Disclosure This is a collaborative post with Pets at Home.